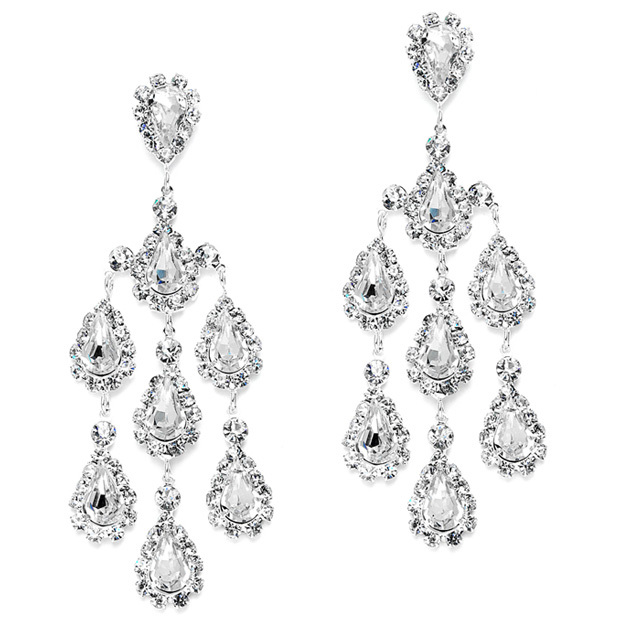 * Mariell's dramatic wholesale chandelier earrings glisten with clear crystals and rhinestones. * The breathtaking shower of teardrop crystals make these earrings a must-have for your store's special occasion jewelry display! * Great for pageants, bridal, proms and gala events! * Mariell's breathtaking 3 1/4" h x 1 1/8" w chandelier earrings glisten with clear crystals & rhinestones plated in sterling silver. * With a dramatic shower of teardrop crystals, these earrings should be a part of every special occasion jewelry collection!